The twelfth annual Go Girl #Play like a girl Chestermere inspired young girls in the community to get involved in sports and physical activities. On Jan. 26, 80 girls decorated t-shirts, participated in ice breakers, and enjoyed smoothies before they broke into groups to try some of the sports that are offered in Chestermere. “We’re hoping girls learn a sport that they haven’t tried,” said Chestermere Rec Centre Recreation Program Coordinator Vicki Klinger. “There are two parts to it, it’s a fun day, they enjoy the day and make some new friends, but it’s also about what is available for them in Chestermere that they can do all year round, and trying to get them active,” Klinger said. 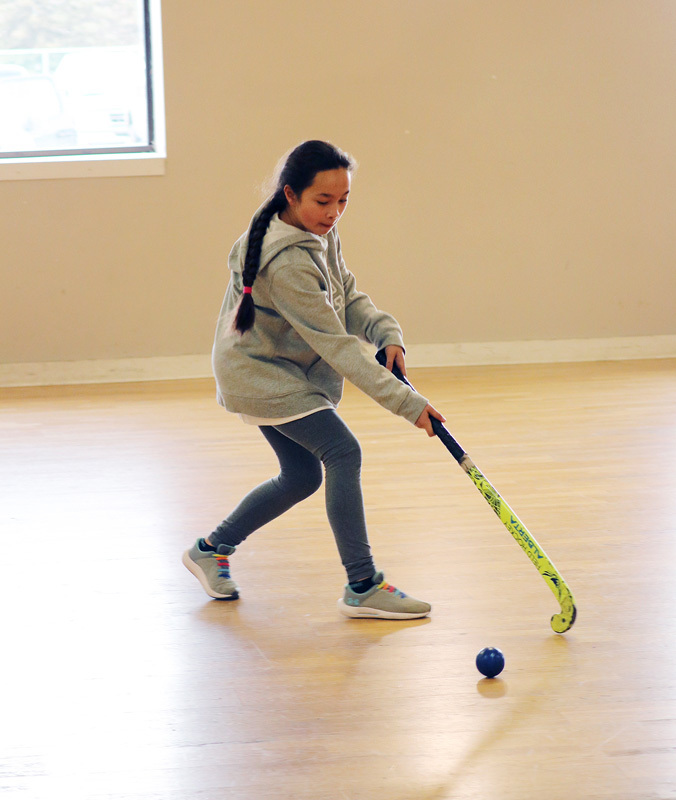 Throughout the day, girls were encouraged to participate in a variety of activities including practicing mindfulness, curling, yoga, field hockey, netball, self-defence, softball, and learning a hip-hop routine they performed together at the end of the day. “We have a lot of young girls, a lot of times as they get older they drop out of sports, we’re hoping that they find something that’s their passion, that they can keep doing,” Klinger said. She added, the primary purpose of playing sports is learning life lessons. “It’s about sportsmanship, learning to work with a team. Any girl that’s in sports realized the importance of it, it builds confidence, and it breaks down gender barriers,” Klinger said. For parent Renee Buchwald, getting her 10-year-old daughter involved in Go Girl was important to instill confidence in her. “It seemed like a really great opportunity for her to try different sports, be more outgoing, and hang out with the other girls,” Buchwald said. Buchwald is hoping that by attending Go Girl, her daughter will want to try something new, and get more involved in sports and physical activities. 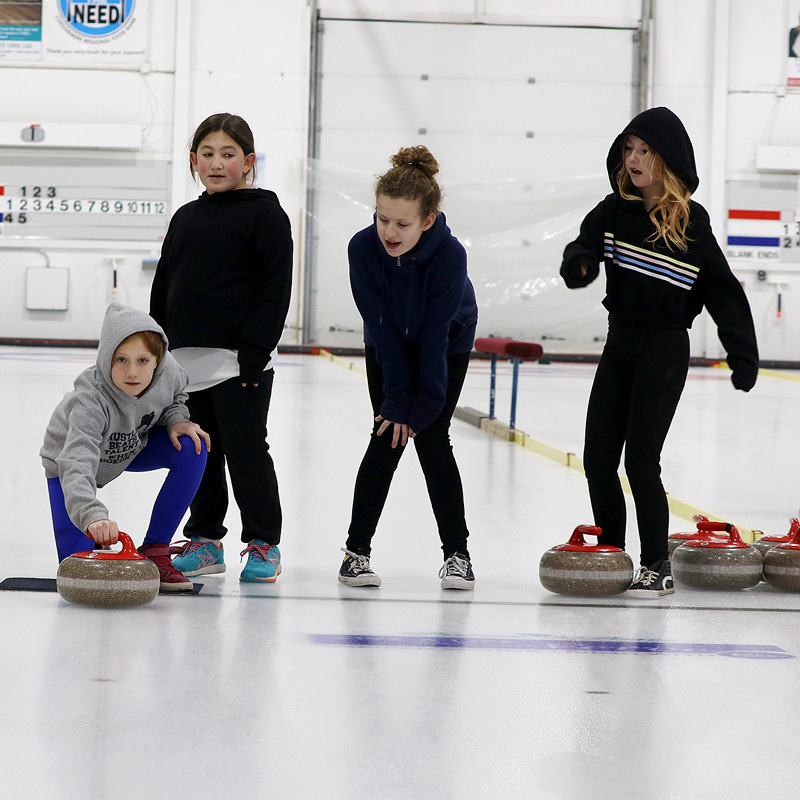 A new activity to Go Girl this year was curling, and for member of the Chestermere Curling Association for 26 years, and junior curling teacher Marla Forth it was important to show the girls the importance of staying active. “I just loved that people could get a taste of curling. It’s so nice for the girls to get a taste of it so maybe one day they’ll get the bug like I have,” Forth said. She added, the curling sessions went really well throughout the day. Forth saw beautiful curling techniques although the girls only had a quick introduction. Without the help from 30 volunteers, Go Girl wouldn’t have been possible Klinger said.